Here in Severna Park, we get the best and the worst of the maritime climate. Our weather might be mild (usually) and our temperatures stay fairly normal, but we also get the salty breeze from the ocean that accumulates all over our buildings and plants – causing damage to painted surfaces if it is allowed to sit for long periods of time. Much like salt will eat away the finish of your car, prolonged exposure to salt causes pitting and damage to paint and to siding. Even synthetic surfaces are not immune to the ravages of the sea air – so most Severna Park residents turn to companies like ours for high-quality power washing to remove salt and other dirt from their homes. Whether you are getting ready to sell and want to freshen your home’s appearance or washing the detritus off of your home from the last major storm, we can help. No matter what kind of home or business you have – we have a power washing package that can help. If you just need a little seasonal power washing to clean off the mildew and stains from a long and wet winter – we can do that. If you are a business that needs a company to come in periodically to clean graffiti off of your property, we can do that too. Our Severna Park power washing company is one of the most professional power washing firms in the country – with the manpower and the equipment necessary to service contracts big and small. Contact us today for a free no-obligation power washing quote, or email us if you are looking for a long-term power washing contract and you need a power washing company to come to your business or apartment complex on a regular basis. All Painting and Power Washing Power Washing services are the very best! If you’re a new home owner, you might not know what power washing is. Power washing is a relatively new method of cleaning large surfaces – allowing a small crew of trained professionals the ability to blast water through powered implements so they can clean surfaces / reach areas that they wouldn’t otherwise be able to do effectively. Power washing is generally safe for durable surfaces, and it is frequently used to clean the exteriors of homes. Since power washing is so popular with home owners as a preventative-maintenance step to keep their homes looking (and smelling) great, it is also one of the most commonly misunderstood services that home owners purchase. Not just anyone can be trusted to power wash your home. Power washing requires a great deal of training – both for the company and the professionals that use the tools. Without the right precautions, power washing equipment can damage your house by forcing high pressure water underneath your siding or into your foundation where it can infiltrate your vapor barrier. Additionally, since most power washing equipment use some kind of detergent to make the washing more effective, water containment is a big deal with power washing companies. Poorly trained power washers might not have the skills or equipment necessary to contain the runoff from their devices – leading to environmental problems, storm drain flooding, and even the death of your landscaping plants. As your local power washing company, we understand that the key to good business relations in this community is the ability to get positive referrals and repeat business. We treat each of our customers like they are part of our family – and our customer-service oriented approach really pays dividends in the long run. We never take shortcuts that could leave your house looking worse for wear – and we believe that our work is the best testament to our professionalism and our skill at power washing for residential and commercial clients. We use only the best detergents in the industry – made from non-toxic compounds that won’t poison your yard or leave lasting residue all over your property. Instead of using caustic chemicals as a short cut for doing the job properly, we use brushes to loosen up soiled surfaces before moving in with low pressure washing and careful cleaning. We know that a job well done is its own rewards – and our power washing service is affordable without being “cheap”. After you power washed your house, you’ll see an immediate improvement in the way that your house looks… but also the way that it feels. Our power washing service will leave your entire home smelling fresh and clean, and it will totally change the way that you view your home from the street. If mildew stains and debris was making your home melt into the background, power washing makes your original paint or siding colors pop. Power washing is one of the best ways to increase your property value without committing to extensive renovations or changes to the exterior of your home. In fact, many real estate agents require that all home owners that want to list their properties with their agencies first power wash their homes – making it look like their homes are better taken care of and in better condition. Power washing can make an old home appear new since it blasts off the dirt and the accumulation of weathering and it leaves behind the original surface in all its glory. When you paint your home’s exterior, the paint “sticks” to whatever it touches. Hopefully your paint sticks to the exterior of your home – but if your home is dusty or dirty, the paint will actually adhere directly to the particles of dirt and will flake off the next time it rains or storms. Painting a dirty home is one of the worst mistakes that you can make with your home improvements, since it costs you money and makes your home look worse than it did before you started to paint. Power washing is an easy way to make sure that your painting goes as planned, and we wash tons of homes to prepare them for painting. Fill out the form below or just call us at 443-790-7145 for a FREE Estimate. 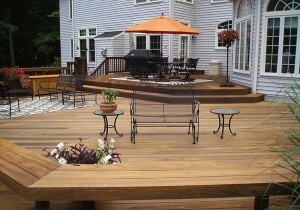 We can also answer any of your questions about Severna Park MD power washing services. A member of our local All Painting and Power Washing team will contact you immediately.